Well, let us tell you! Introducing …. The Top 6 Foods to Spring Clean your Mouth! Spring cleaning is about more than just your home. Our mouths deserve the same rejuvenation from time to time. And there is no better way to brighten that smile than by eating a healthy diet. Here are the top 6 foods that clean teeth naturally, often acting as natural abrasives to polish those pearly whites. Tea – Herbal teas, like green tea, contain polyphenol antioxidants that reduce plaque and prevent cavities and gum disease. Tea also contains fluoride, which helps strengthen tooth enamel and eliminates bad breath. Cheese – Cheese contains natural cavity-fighting agents, as well as vitamins that strengthen teeth. The calcium and phosphate in cheese helps balance pH levels in the mouth, preserves tooth enamel, produces saliva, and kills bacteria that cause cavities and disease. Fruits – Fruits, such as apples, strawberries and kiwis, scrub your teeth when you eat them. When the natural fibers of the fruits combine with saliva in the mouth, they help wash away food particles and stain-causing bacteria. Vegetables – Crunchy vegetables such as carrots, cauliflower, broccoli and cucumbers can help clean your teeth and gums by removing food particles that can build up into plaque. 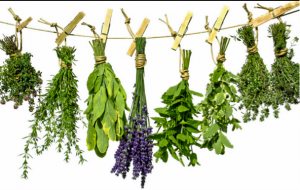 Fresh herbs – Chewing on herbs, like parsley, cilantro, and mint helps decrease odors caused by a buildup of bacteria. Water – Water cleans the mouth and produces saliva that deposits essential minerals that build tooth enamel. Water also keeps gums hydrated and washes away food particles from teeth. ← How often should I get dental x-rays?